Fun Fish Fry Facts! The Results are In! 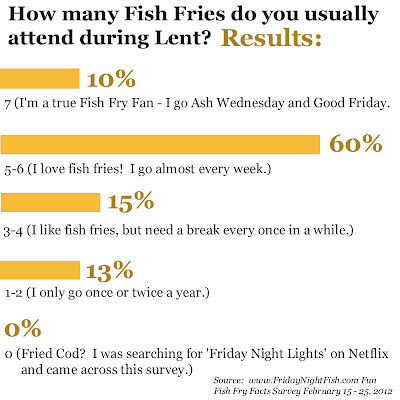 The results of the first week of Fun Fish Fry Facts are in! 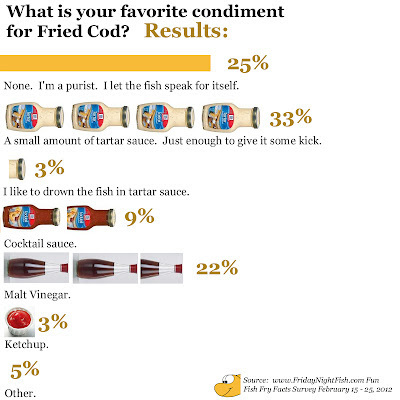 33% of fans prefer a slight amount of tartar sauce, just edging those who prefer no condiments. Malt Vinegar was a close third at 22%. 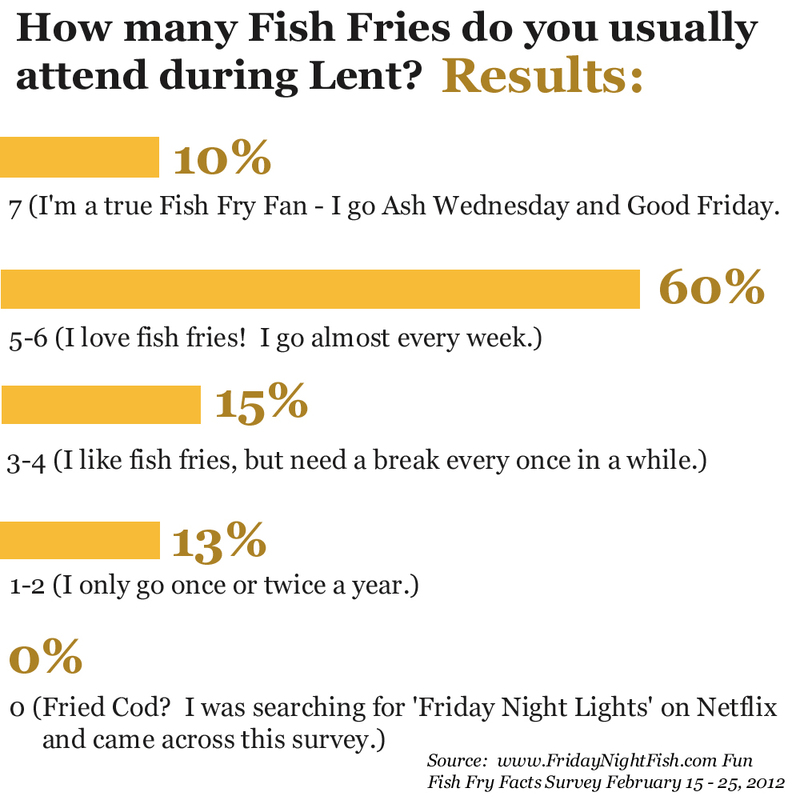 Also, over 70% of Fish Fry Fans usually attend at least five fish fries during lent! See the results of both questions below. Be sure to vote in this week's Fun Fish Fry Fact Survey Question. This week's question is "What is the furthest you would typically drive to go to a fish fry?" Great Start to the 2012 Fish Fry Season! A great start to the fish fry season at St. Alban Roe in Wildwood and St. Catherine Laboure in Sunset Hills. Both had some very good Cod and were very crowded and festive. See the reviews for both below.